The appellate court found that certain sections of the mother’s speech had been restricted in too broad and vague a manner to be enforced and overturned the part that restricted her from posting about the father on social media and overturned the part that restricted mother from discussing “any adult-issues” with her child. Consequently, we modify the juvenile court‘s injunction to remove the prohibitions against 1) any reference by Mother to “Father at all on social media“ or 2) discussions of “adult–only issues“ beyond those topics specifically referenced in the injunction. Our ruling, however, does not preclude the juvenile court from expanding its injunction in the future to cover additional topics provided the restraints on Mother are supported by adequate factual findings and are narrowly tailored to limit the prohibited speech. Interestingly, and not surprisingly, this Attorney calls this mother’s result a loss. It seems to be difficult for attorneys to accept that pro se are getting better results than they are now. That’s simply because attorneys have refused to raise these constitutional protections. Where parents are willing to fight with everything they have. Parents, like this mother, are learning that most of the time their rights are the only thing they may have going for them. This case proves that you do not have to be an expert to fight for your rights. You do not have to be an expert for your rights to protect you. You do have to learn about your rights and how they protect you. Our book, NOT in the Child’s Best Interest,” summarizes these principles for you and provides you with over 90 supreme court cases. 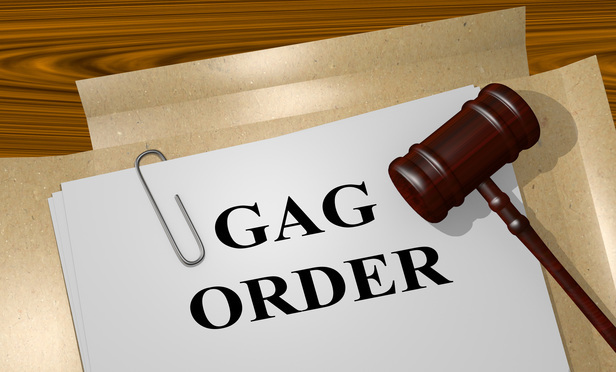 Note that this mother prevailed on the vague and overly broad portions of the gag order but did not prevail on the more narrowly tailored portions of the gag order. Those, we believe, could be argued as prior restraints successfully in many cases however. This is where it takes quite a bit more understanding about how these rights need to be argued. Our book covers the basic foundations. Our materials constantly evolve and you see this in newer materials that build upon the foundation of the books that we have, in the form of sample motions, online classes, and other developing books and materials. *Tennessee Attorney summarized the case here. Want to learn more about this issue listen to the interview with Ron Palmer with Ted Fogg and Johnny Panko with Restoring Freedom Internet Radio and Million Parent March 2017 here. There are certain types of speech that are not protected, defamatory speech is one of them. Speech that causes harm. That harm needs to be proven. The appellate court in this particular case declares that the mother’s speech in some of the areas proved to be harmful. This is an area however that can be argued. There are some types of harm that a court is not allowed to prohibit or protect from. This means that a child getting upset over something you spoke to them is not necessarily grounds to protect the child from that speech. For instance, if a parent tells a child “no” they cannot go to that concert and the child gets upset. A parent can make decisions and say things to children that make them upset. What a parent cannot do is defame someone or create the kind of harm that yelling fire in a crowded public place can cause if there is indeed no fire. Comment below about your experience or thoughts about gag orders. NextWashington State’s Equal Parenting Law is Being Ignored! Why would attorneys, the ABA and the ACLU oppose Measure 6 that protects children?